More About Cable Ties: Avery Dennison sets the toughest standards in the industry and made in the USA. Continuously monitored through statistical process control (SPC), Cable Ties meet all appropriate qualifications for Military Specifications and UL. As a result we have earned several quality awards such as Ford Q1 and Self Certification at Chrysler. 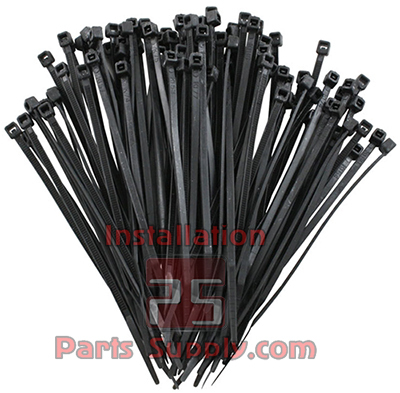 A cable tie (also known as a zip tie, zap strap, zip strip, wire tie, tie wrap, quick draw, rat belt, or mouse belt) is a type of fastener, especially for binding several Tubes, Hoses, Lines, cables & wires together and to organize them. 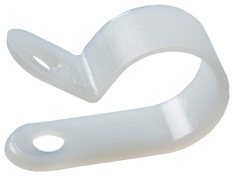 In its most popular form, a cable tie consists of a sturdy Nylon tape with an integrated gear rack, and on one end a ratchet within a small open case. Once the pointed tip of the cable tie has been pulled through the case and past the ratchet, it is prevented from being pulled back; the resulting loop may only be pulled tighter. 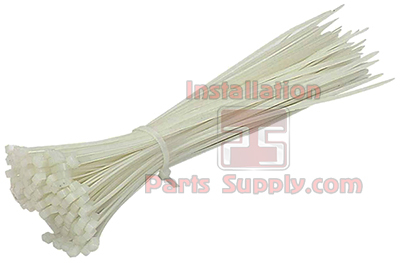 CABLE TIES are made with type 6/6 nylon for high impact and tensile strength.